Nurses pay own tribute to Mary Seacole | Why Are West Indians In This Country? It was a significant day in black history as this is the first time a black woman has been honoured for her service with a statue. 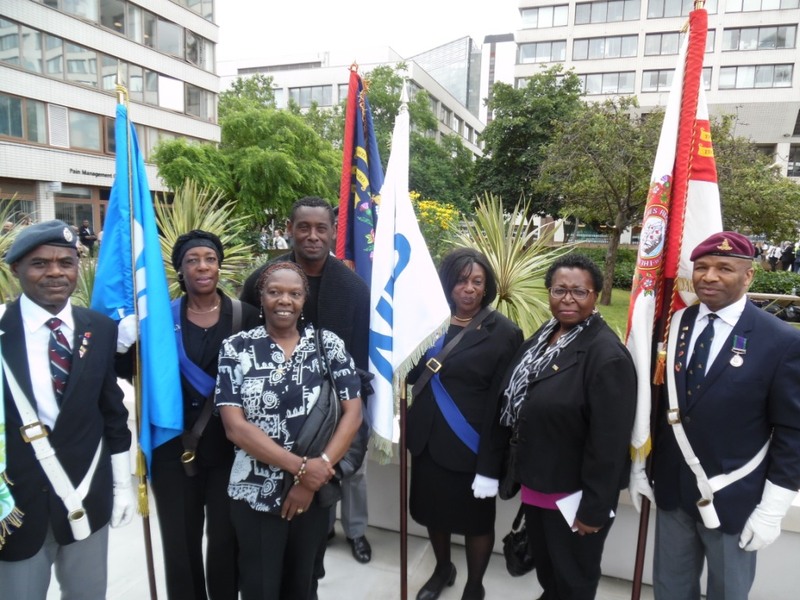 W.A.W.I Project members were proud to carry the Flag / Standards of the NHS and West Indian Regiments at the ceremony where we had the company of people from various backgrounds which included MP’s, Actors, Academics, Military Personnel and a black war hero who is the recipient of the Victoria Cross. I have been a member of the W.A.W.I Project for nearly 2 years as part of the nurses and ex-nursing team. 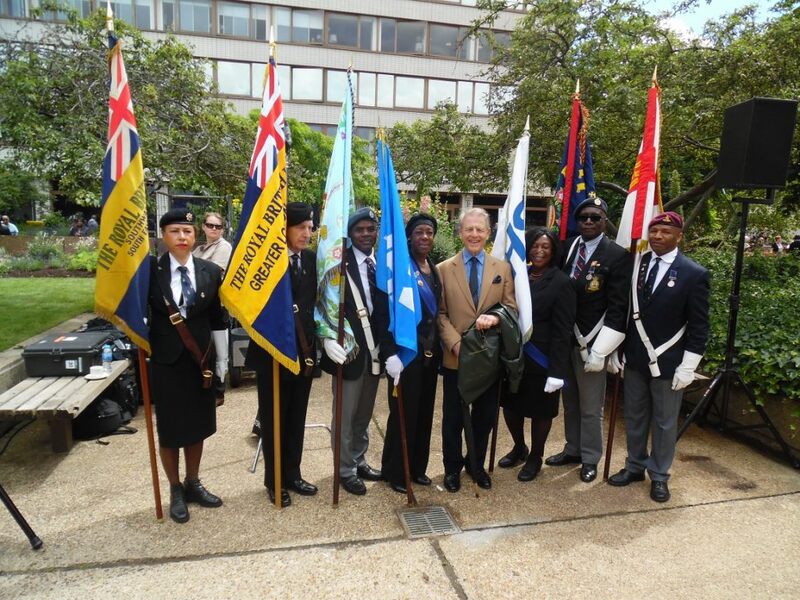 We carry the NHS Flag to honour the contributions made to the National Health Service by all people, past and present from the Caribbean and other parts of the wider Commonwealth. There are three of us nurses within the team who have collectively provided more than 100 years of service to the NHS. Being part of this Project has given me increased knowledge and understanding of the pivotal role that people from the Caribbean have played to make Britain great. The Project emphasise the contributions made by those who joined the Military Forces; those who were once absent of representation at military parades. 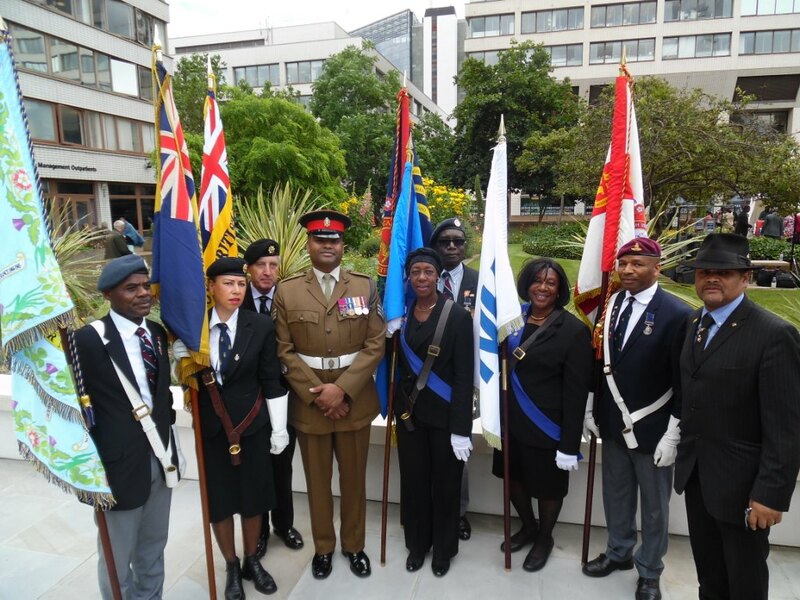 Now the Standards of the Regiments of the West Indies can be seen, carried by veterans (ex-soldiers) who once served within the Royal Air Force, Navy and Army. Another aim of the Project is to educate the public. This involves visits to Schools, Churches, Day Centres, Community Projects and groups etc. both nationally and locally to explain the historical links between Britain and the Caribbean.